I’m halfway to Memphis. Just wasn’t feeling the drive today, maybe it was because my entire drive was in Virginia. Was on the road under 7 hours from Ellicott City to Bristol, stopping twice. 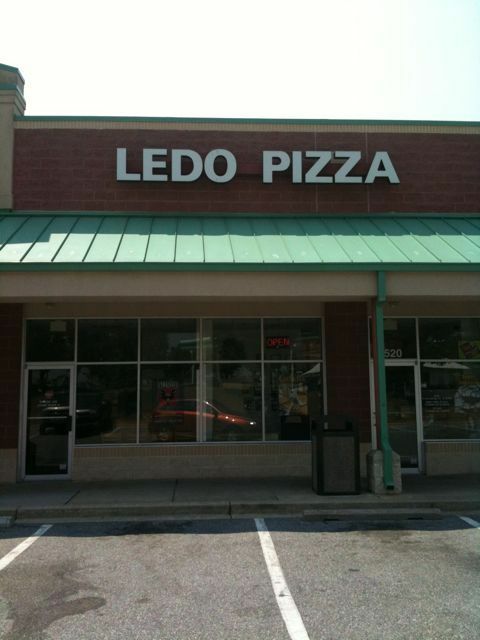 I left Ellicott City just after 11am and stopped at Ledo’s in Mount Airey just 20 minutes later, so I could get the best pizza in the world as a going away present for myself. I had it for lunch and dinner and will have it leftover when I get home as well. 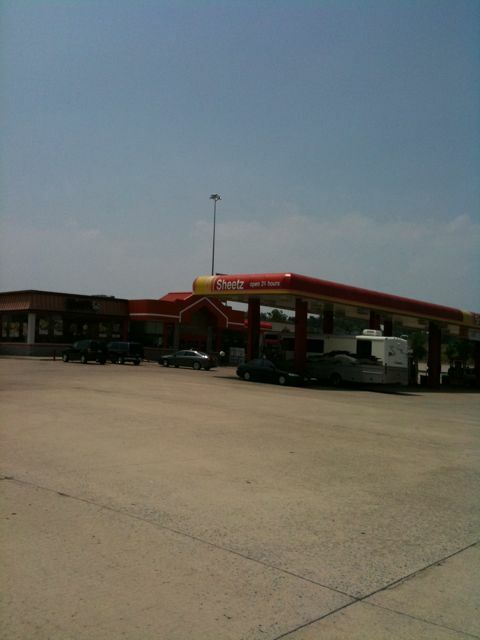 We stopped 2 hours later at a Sheetz in Mt Jackson, VA for snacks and to go to the bathroom. It was 100 degrees. Four more hours of driving through Virginia and we were in Bristol. Luckily the room has a refrigerator and microwave for my Ledo’s pizza. 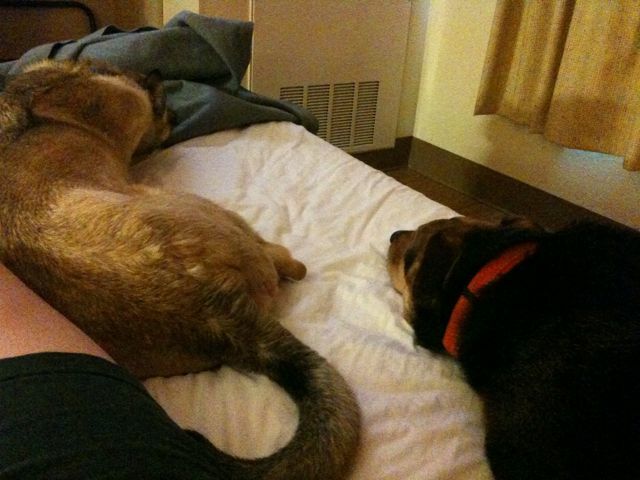 Elvis and Cilla were finally able to relax in the room. 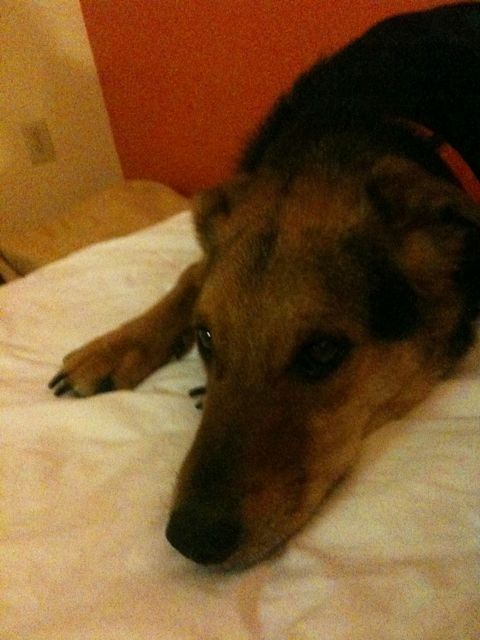 Then Cilla rolled over onto Elvis’ legs, so Elvis growled at her, so she moved to the other bed. 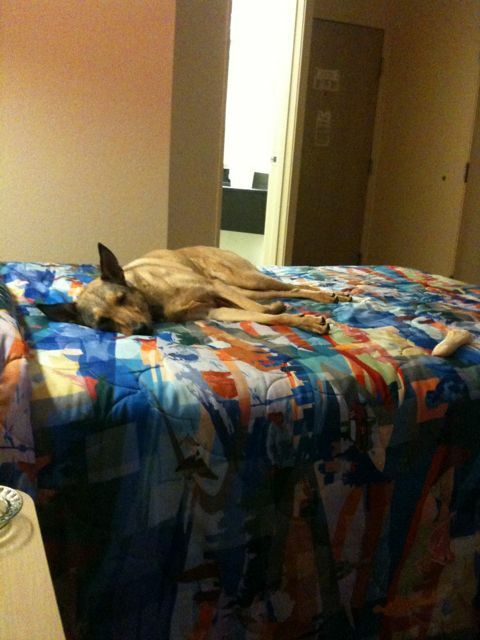 I’m going to try to get to sleep, so we can wake up early and leave for Memphis. Luckily it’s Tuesday so there is an SVU marathon on usa.